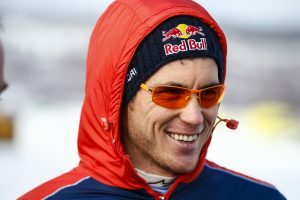 Neuville in WRC, Kristoffersson in WRC2. Those are your fastest cars during Shakedown earlier today. After today's recce we gathered the four WRC teams for a different head to head challange on ice. I dag förlängde SVT tv-avtalet över ytterligare tre år, 2019-2021. Och Pontus Tidemand kör äntligen WRC. 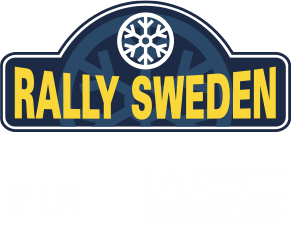 Finally the first information around Rally Sweden 2019 is published. The course is very similar to 2018 and the biggest difference is that SS Torntorp is changed to SS Rämmen. The total special stage length is 319,17 km and 21,8% is new compared to 2018. Last Friday FIA also decided the calendar for 2019 and the date February 14-17th is finally set. 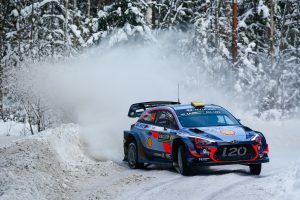 Rally Sweden 2019 kommer med största sannolikhet köras den 14-17 februari. 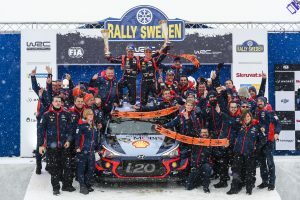 Det är detta datum som WRC Promoter nyligen presenterat inför FIA för godkännande. Belgium, Japan and Sweden - those are your three countries taking the Rally Sweden 2018 title! It’s official: Takamoto Katsuta gets the WRC2 win in Rally Sweden 2018!